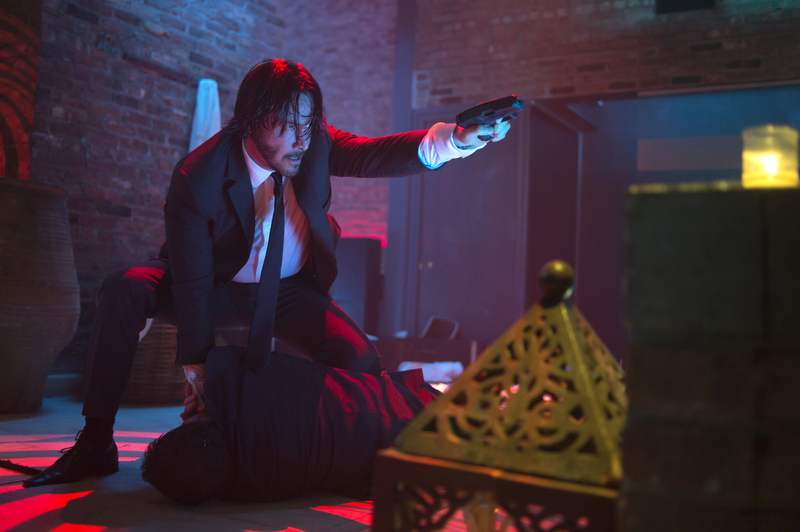 John Wick was released in the US back in October 2014, with most other territories following shortly after. Despite it’s success and generally positive reviews, those of us in the UK had to wait. The film finally hits UK screens on April 10th. Keanu Reeves is back with an action-packed, stylistic film with debut directors Chad Stahelski and David Leitch. They originally worked with Reeves on The Matrix as stunt coordinators and second unit directors. The cinematography is heavily influenced by comic books and manga, with hints of the Wachowskis definitely present. The plot, a vengeance rampage, was inspired by Spaghetti Westerns such as The Good, the Bad, and the Ugly, something that is very apparent as you watch. While all these ingredients lead to a visually interesting and dynamic number of action set pieces, the film falls over with its initial premise and the complete lack of character development amongst its flimsy plot. John Wick is a loving husband, recently widowed. After his wife’s funeral, he receives a package in the mail, a beagle puppy and a note from his late wife (yep, you can mail order puppies… what is the world coming to?!). Slowly, John begins to find purpose in his life as he starts to love his puppy. Out on an errand, he encounters a handful of gang members who love his car. After John refuses to sell his prized ’69 Mustang, the gang kids show up at his house. They beat him to a bloody pulp, kill his dog, and steal his car. 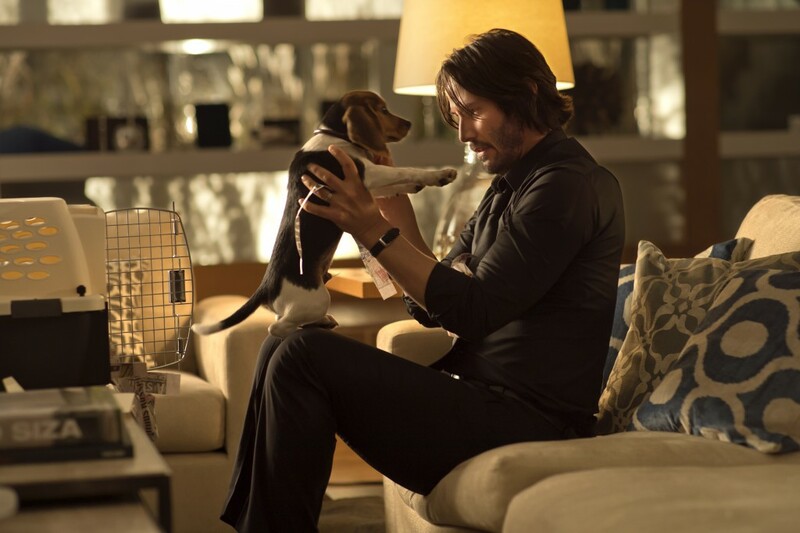 As it turns out, John Wick isn’t the mild mannered househusband we were led to believe. In fact, he is an ex-hit man for the Russian mob. And he’s pissed. The film opens with an onslaught of ‘tug at your heart strings’ exposition while giving as little backstory as possible. 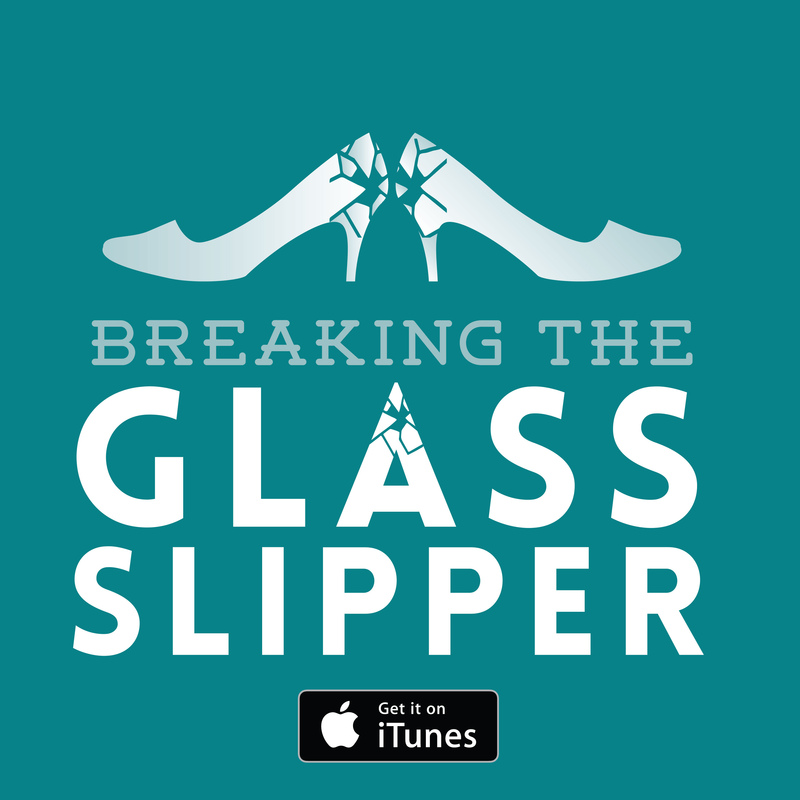 As the film progresses, there are a lot of questions left open to the viewer. I actually enjoyed that, it was great to have a film that wasn’t front-loaded with explanations. The only problem was, very few questions were answered even by the time the credits rolled. And that is a problem. I love a good fight scene as much as the next action fan, but there’s got to be a good reason for the action and at least some story/character development between the shoot-ups. No such thing exists in John Wick. And while the directors change up the fight scenes with different settings, from guns to hand combat, to including car chases and even a helicopter, at the end of the day the film is just a series of fights. Is it really so much to ask to have a little story in between? Daisy is the beautiful beagle puppy that is monstrously murdered by mindless thugs. While I completely fell for her and was almost in tears when the inevitable came about, I still don’t really see how that’s a reason to go on quite so extreme a violent rampage. Come on, there’s got to be some kind of balance to the character’s actions, and if not, explore the reasons for their total lack of balanced response in their characterization. As John’s body count mounts (rapidly), it’s harder to believe that I could possibly be on board with him as a character. Sure, for the most part, he’s killing traditional ‘bad guys’, but what about everyone else that gets caught in the crosshairs? People have brought this up before when it comes to Star Wars. Seriously, think about it. How many people would have been on board the Death Star? And what about the second Death Star? All those contractors? Dead in the blink of an eye with the rebels celebrating the deaths of these innocents. I don’t care if they took a job with the Empire, people have got to pay their bills, right? 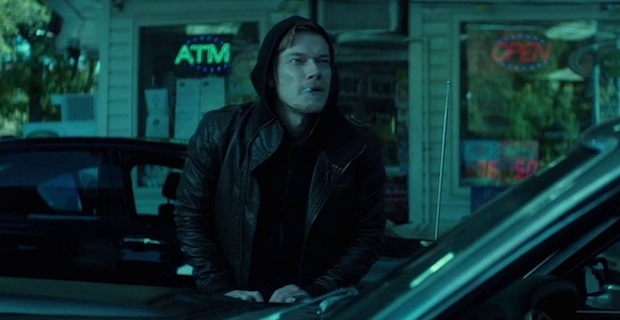 So what about the security team at the club where John Wick kills almost indiscriminately? It’s not like he stops to check that the person he’s about to shoot in the head is actually on the opposing side – they could just be people who think ‘hey, there’s a crazy man shooting up the place, I better defend the other people here’ (yes, that would not be me – I’d be running as far away from there as I could, but the idea of a brave good Samaritan is not beyond imagining)? The film actually revels in John’s complete lack of humanity when it comes to indiscriminate murder. The tag line is ‘Don’t Set Him Off!’ I’m sorry, is this some kind of joke? They are laughing at a relatively minor (no, I don’t think it is ever ok to murder an animal, please don’t think that, but in the grand scheme of things…) crime deserves a retaliatory body count that makes even the worst serial killers look like timid kitties (this YouTuber puts the count at 75). Is anyone else sick of this? I’m sorry if you feel like I’m pushing some kind of agenda but it really pissed me off in this film, as it is so blatant. Too often in action films a hard antihero is given redeeming qualities by way of not killing women or children. But why is this ok? Women can be just as ‘bad’ as men, so why don’t we deserve to die? 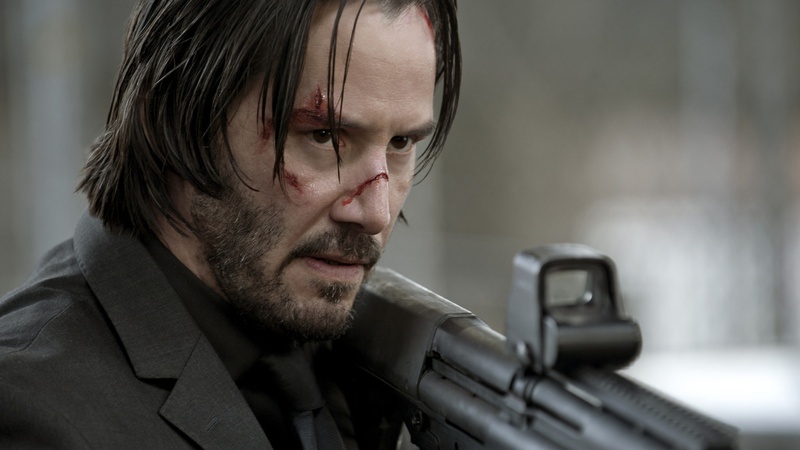 Ms Perkins is a fellow hit-‘man’, employed to take out John Wick. She attacks him and he has every opportunity to kill her, but instead only knocks her out. WHY?! He has killed everyone else without even bothering to enter into conversation, but he refuses to kill another professional woman just because she is a she?! I’m sorry, but that’s just not cool. He breaks into a bank vault and has murdered everyone bar the priest so far, but he stops to shoo out the money counting girls. Wouldn’t want them to get hurt, now would we?! The biggest problem I had with this film is that I actually enjoyed it. Even with it’s nonexistent characterization, flimsiest of all motivation for its protagonist/antihero, and old-fashioned knight in shining armor view of women, the film sprints along at such a pace that it almost works. 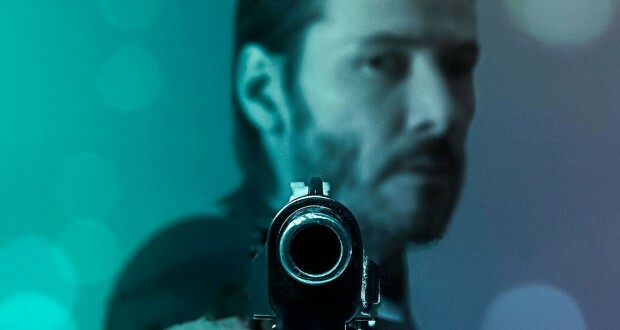 While Reeves has all the acting range of a bar of soap, he knows how to deliver a stylish punch and make shooting someone in the head incredibly easy. Verdict: Great fun if all you’re looking for is some fast past, stylish violence. If you came looking for a story, keep looking. Also, great exposure to recent Marilyn Manson with the inclusion of ‘Killing Strangers’.